Waterproofing of underpavement cellars is becoming increasingly popular as property prices increase and the usage of redundant space can substantially further increase the value of a property. 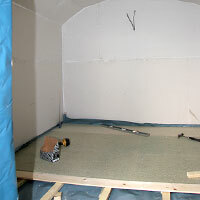 Waterproofed cellars can give much needed storage space or can be used as an office or computer room, smoke-room, workshop, playroom, mini gyms, bicycle store, wine store or utility room. New Town Cellars is a company that concentrates on cellar conversions and has the specialist expertise required to convert a wet cellar into a habitable and dry area. 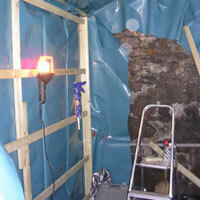 We can also replace worn and damaged doors on existing cellars. Please contact us for further information. We also undertake cellar clearances. 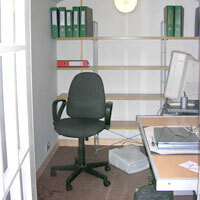 We can cleanly and effectively move years of rubbish, junk and dirt. Please contact us for further information. It is a tried and tested system and for your peace of mind we give a 15 year guarantee against any damp penetration.